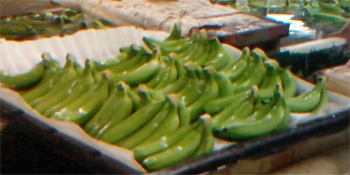 Bananas are dried in trays after sorting…. 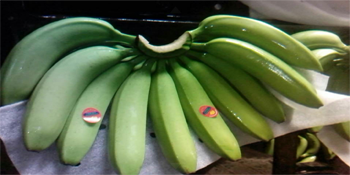 Product labels are placed on selected bunches for clients…. 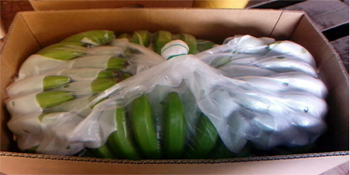 Bananas are vacuum packed, boxed and ready for shipment to export port.